The reason the Thumb photo is not appearing when you are on the front end website is because the Thumb Photo size is not set within the photo category itself. Then re-uploaded the photo of the item that was not showing. 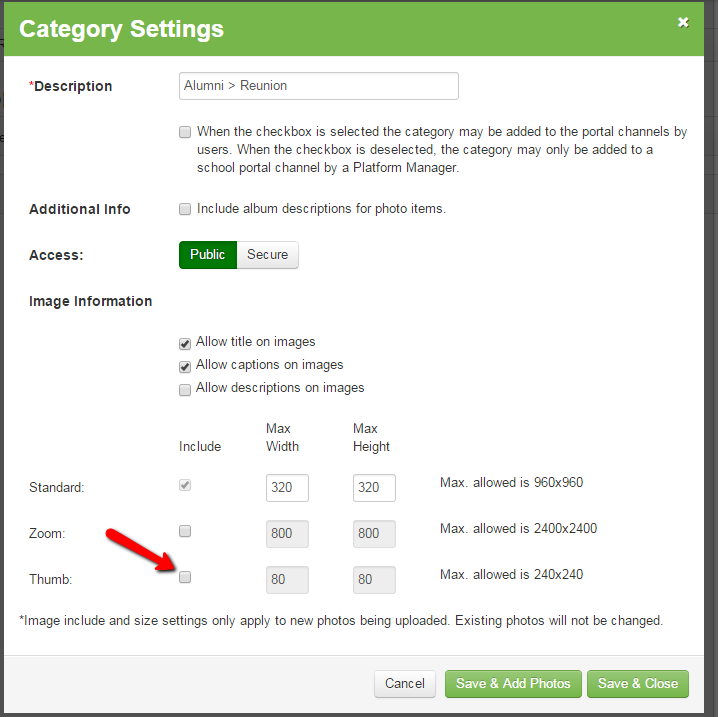 Please Note: Changing these settings will only affect new photos being uploaded to this category, any existing photos in this category will not be affected.